Welcome to Carnival of Space, Issue number 407. This Memorial Day edition is dedicated to everyone who served in their military, especially recognizing those who gave their lives in the defense of their nation. Our gratitude is with you all. We start off this week’s Carnival with an article written in Spanish over at Vega 0.0. Goog Translate is a great tool for anyone who is a non-Spanish reader. New Horizons probe is near to its target, the dwarf planet Pluto. Now, LORRI camera can detect the five known moons (Caronte, Hydra, Nix, Kerberos and Styx). Stereo Moons continues with the Pluto theme, in English this time, discussing the upcoming encounter. Dr Paul Schenk writes about the upcoming Pluto encounter. The Huffington Post has an article on the #girlswithtoys sensation. 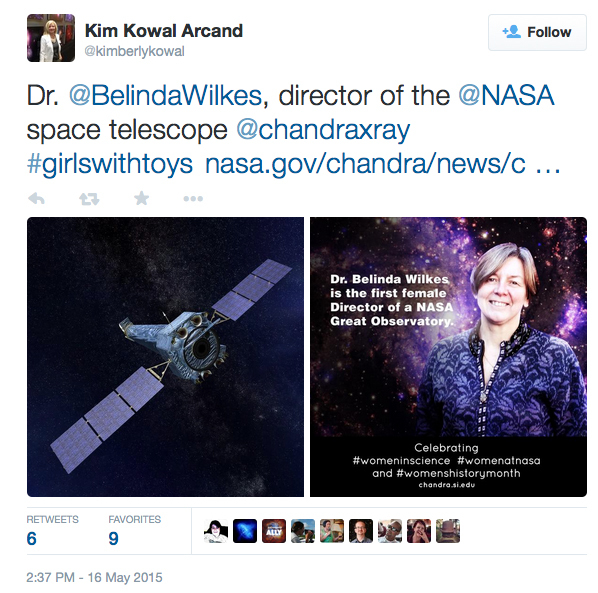 Next up the website of the Chandra X-Ray Telescope continues the mem theme with their article on #girlswithtoys. The follow that up with a second article about astronomy in Puerto Rico. There have been so many excellent images and messages being tied to the hashtag #girlswithtoys on Twitter over the past several days. The Meridian Journal also has a pair of articles this week. The first an investigation into the discovery of possible sea salt on Europa. The second looks at the Northrop Gruman developed airplane designed to fly the skies of Venus. Moving a bit farther out in the solar system we have a pair of articles on Mars. First up is Andrew Fraknoi: Exploring the Universe blog with a great little article on rock spires on Mars. Andrew Fraknoi shows a new image of rock spires taken with the Opportunity Rover on Mars, which has now reached its 4000th martian day of operations. Staying with Mars, Universe Today has an article on the cool things the Opportunity rover team is doing. 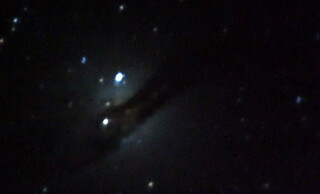 We conclude this week’s edition of Memorial Day reading with an article on astrophotography from The Urban Astronomer. Astrophotography has a reputation for being expensive and requiring a lot of specialized equipment. While it certainly is possible to spend a lot of money getting kitted out, we sometimes forget just how important the photographer’s skill is in producing a great shot. Urban Astronomer has documented his own progression from “”rank amateur”” to “”moderately competent”” by imaging the same object at intervals as he improves his technique, and has found that no matter how flawed his equipment might be, he STILL hasn’t reached the limits of what it can achieve.